Super Savings Item! Save 36% on the (1) NEW MICHELIN PS2 PILOT SPORT BW 265/40ZR18 97Y TIRE 2654018 by MICHELIN at Chosen Hubs. MPN: 25785. Hurry! Limited time offer. Offer valid only while supplies last. Michelin Pilot Sport PS2 Tires are for professionals and those who ride the public roads. More than a sport tire, this is a competition tire. Michelin Pilot Sport PS2 Tires are for professionals and those who ride the public roads. More than a sport tire, this is a competition tire. Designed for maximum surface grip for fast maneuvers and response during acceleration and braking, Michelin Pilot Sport PS2 Tires win the day with excellent performance and a smooth, quiet ride. 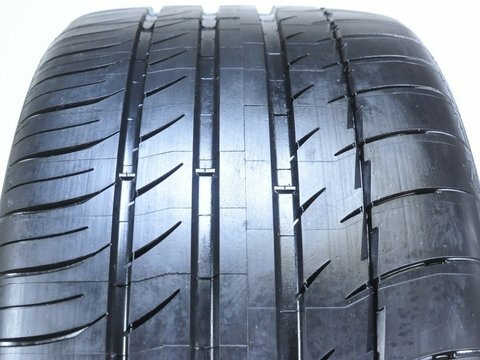 Exceeding the standards of world-class manufacturers such as Bugatti, Koenigsegg, and Porsche, this sport tire and competition tire has great grip and roll on a race track or a public highway. New York Residents are Subject to 8.875% sales tax.